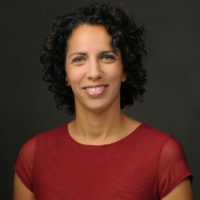 Jenny Castillo, MD, is an Assistant Professor of Emergency Medicine for Columbia University Medical Center, New York Presbyterian Hospital, as well as, the Director of Resident Simulation Education, and an Attending Physician within the Emergency Medicine Department. Dr. Castillo is an advocate for learning through simulation for the past 6 years and is passionate about using simulation to teach physicians wellness and resilience. Her current projects involve teaching mindfulness and leadership skills using simulation.